Parks are a vital piece to the well-being and overall happiness of any community. They serve as places for citizens to spend time with family, to exercise, or to simply relax. But many times, the parks accumulate garbage and litter. 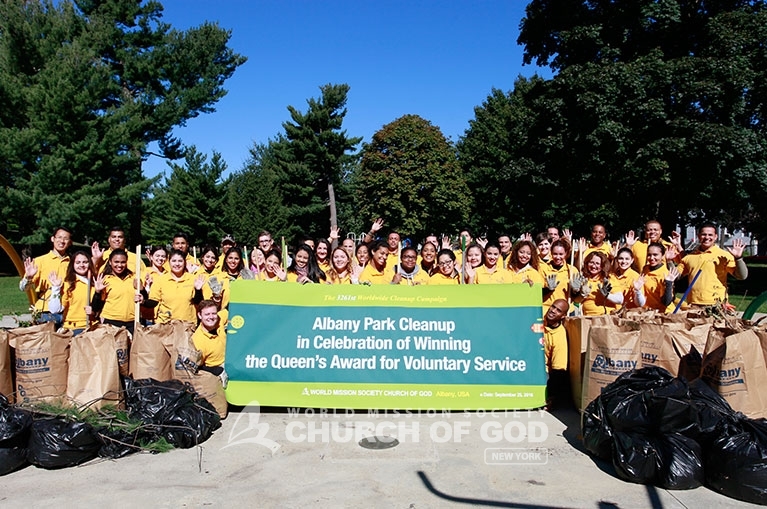 In light of this, the Church of God organized an environmental cleanup in Albany. Working with Albany’s Department of Recreation, about 50 volunteers cleaned up Swinburne Park and Livingston Park. 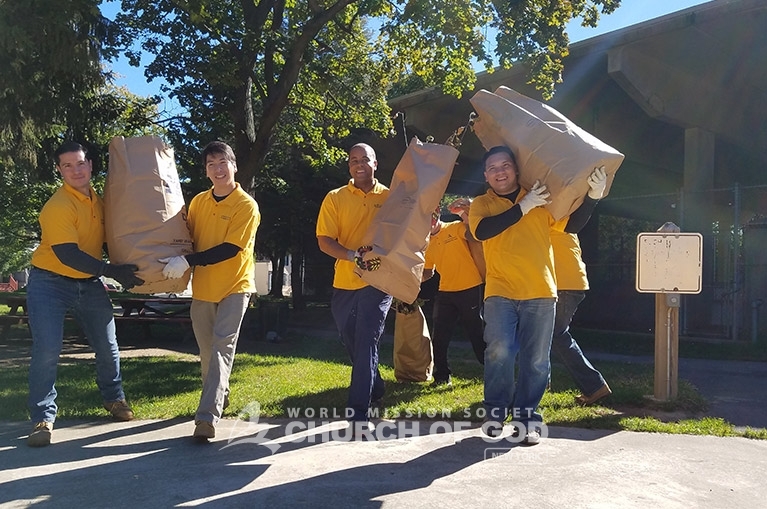 This community service also fell in line with East Coast Volunteer Service Day 2016. 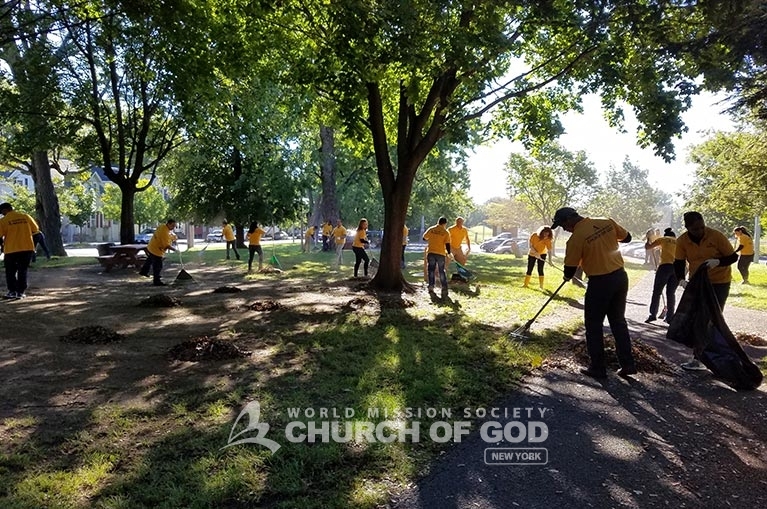 On this day, Church members carried out a total of 25 volunteer events throughout the East Coast and the Caribbean. Early in the morning, volunteers gathered at Swinburne Park to remove trash from its playgrounds and picnic areas. With the park officially opening for skating at the end of the month, removing as much waste as possible was imperative. Working meticulously, volunteers picked up garbage from the park that had accumulated over a long period of time. After collecting heaps of trash at Swinburne Park, volunteers moved on to remove additional litter from Livingston Park. Cleaning Swinburne Park was also important for the city’s Department of Recreation as they plan to resurface its basketball court. 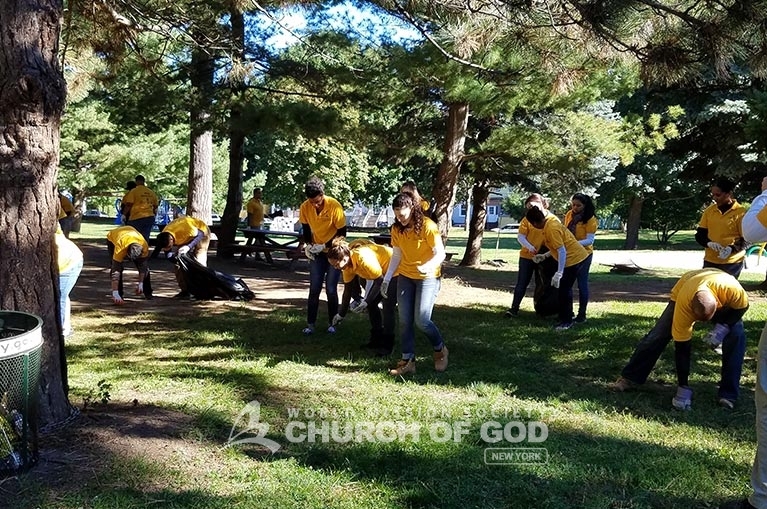 While clearing the area, volunteers engaged with neighbors at the park who extended their gratitude for the cleanup. And, within no time, the park was spotless. 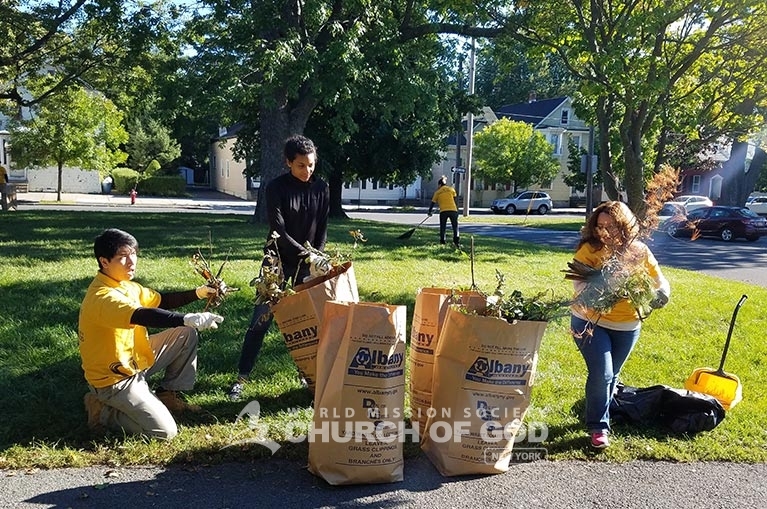 In response to the Church of God’s service and altruism for the community, the Department of Recreation in Albany awarded the Church of God with a certificate of appreciation. The volunteers look forward to working with the department in the future to organize more community services in the state’s capital. I’m so thankful to have been able to participate in this event. 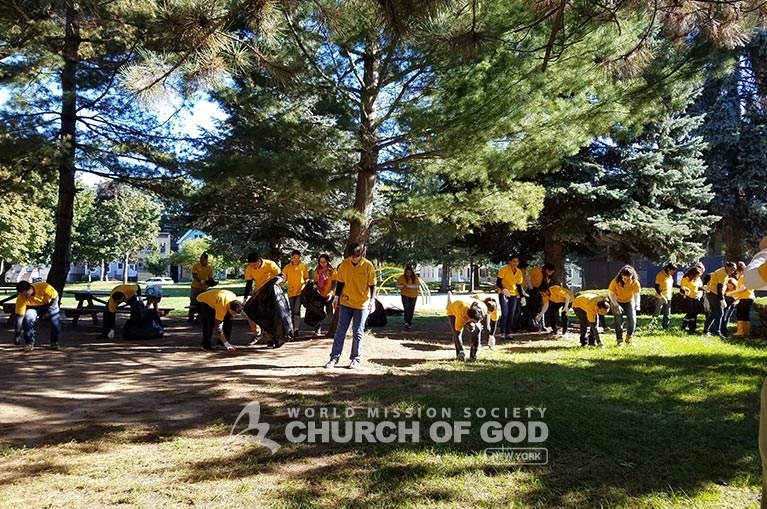 Before coming to the WMSCOG, I considered volunteer service something others did, but now I realize how important it is to serve our community. I look forward to continuing to play a role in helping neighborhoods come together. 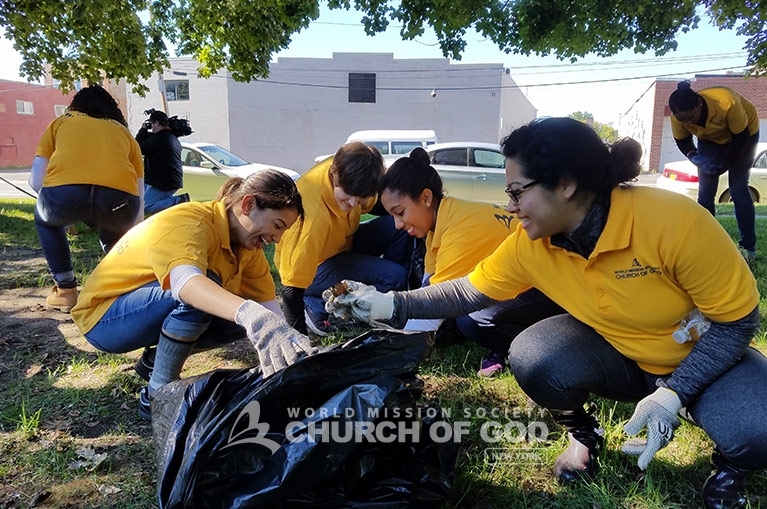 we can put the teachings of God into practice by doing such wonderful deeds. 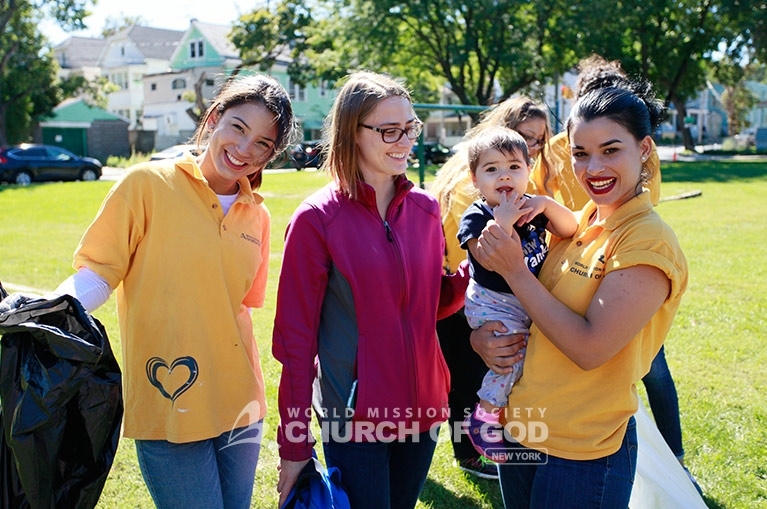 It is really great to serve others as God showed an example that we should do! we can do it! Let’s go to heaven! Cheer up! ANIMO!! because WE LOVE Heavenly MOTHER! and we Love everything of god!!!! Let’s go! !